Developers will start pouring into the annual Google IO conference on Wednesday, but those wondering if the company's Motorola Mobility division could have something new to offer won't have to wait so long. Android Guys today reported that an unannounced Motorola XT1058 smartphone turned up at the U.S. Federal Communications Commission (FCC) over the weekend. 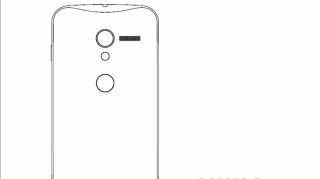 Judging from the FCC ID Label and Location document included as part of the filing, the handset bears a striking resemblance to the so-called "X Phone" which has been making the rounds in recent months. With its pesky FCC approval now out of the way, Google-owned Motorola Mobility is free to unleash its new Android device, though the likelihood we'll see it at Google's developer conference is slim to none. The XT1058 model number matches a number of humorous handset codenames for Motorola's next device, which include Yeti, Ghost and Sasquatch. Although FCC documents don't currently include telltale photographs of the rumored "XFON," the docs do reveal AT&T 4G LTE-compatible antennas, squashing hopes the handset might be part of a new Droid lineup at rival Verizon Wireless. Beyond the carrier bands and a sketch of the rear casing with FCC "CE0168" approval label, the report claims that an NFC chip and possibly even stock Android 4.2 appear to be in the cards. With all signs pointing to a hardware light Google IO, we could be in a for a few more weeks wait for the X Phone.